Randy’s Mobile Mechanical Service is a friendly place you can bring your Nissan Frontier for an oil service, factory recommended maintenance, or for major repairs. We are the premiere Concord Nissan Frontier service and repair center. Whether you own Nissan Frontier 4 Cylinder King Cab or a V6 Crew Cab, our ASE certified mechanics can perform manufacturer recommended maintenance, as well as advanced diagnostics and repairs. If you happen to own a fleet, we provide priority fleet service. When you bring your Nissan Frontier to Randy’s Mobile Mechanical Service, whether for an oil change or complex diagnostics, we will also provide a complimentary inspection, which gives us a chance to spot impending problems, and gives you an opportunity to have them corrected before they lead to a breakdown and expensive repairs. Randy’s Mobile Mechanical is a full service Concord auto repair shop, and can provide a wide range of services – we can help if your Nissan needs clutch repair, AC recharge, electrical system diagnostics, engine misfire, AC system repair, fuel pump replacement, shocks and struts, coolant leak repair, water pump repair/replacement, radiator replacement, check engine light diagnostics, transmission service, serpentine belt replacement, rough shifting, oil leak repair, CV joints, sensor diagnostics, brake pad replacement, timing belt replacement – this is just a short list of the repairs and services we can provide. So bring your Nissan Frontier to Randy’s Mobile Mechanical Service and experience our friendly staff and quality repairs. Setting up an appointment is easy. You can do it online, or give us a call. We are here to help. For trusted auto Nissan Frontier Service and Repair in Concord and across CA, visit Randy’s Mobile Auto Repair. Call us today or use our convenient online form to book your visit. Randy’s is fully capable of providing the repairs and service you need for your RV or camper. This includes body work, engine service, and even repairs to the interior of your coach. You can also come to us for routine maintenance and tune-ups before a long trip. If your situation requires you to file a claim with your insurance company, our repair experts can help. If you own an RV that needs repair, come on down as well. We have fully trained RV repair specialists, that will help you with any problems that you are having. We are well-informed on how to deal with insurance companies. Our employees are also experts in fiberglass repairs for your RV or camper, which is important for your RV's function and your own safety! To learn more about Randy’s RV Repair division and its services, contact us at 925-288-0766. 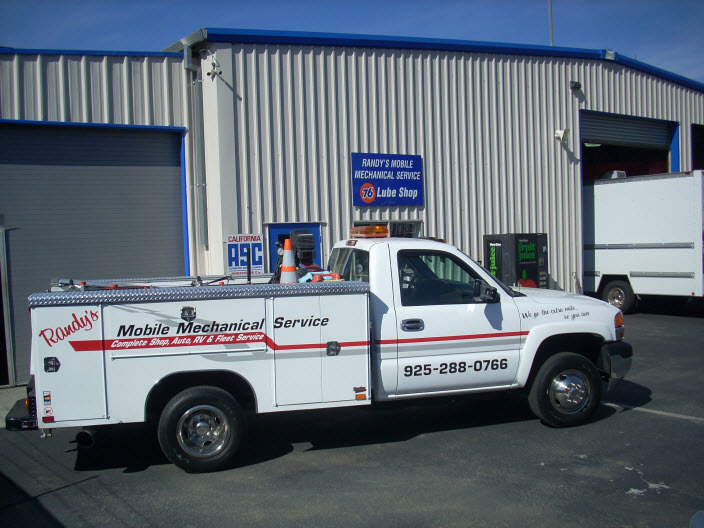 Our repair facility is located in Concord, CA but provides services to customers from all over the surrounding areas.